How Brussels Became a Real-Life Comic Strip #ArtTuesday « Adafruit Industries – Makers, hackers, artists, designers and engineers! 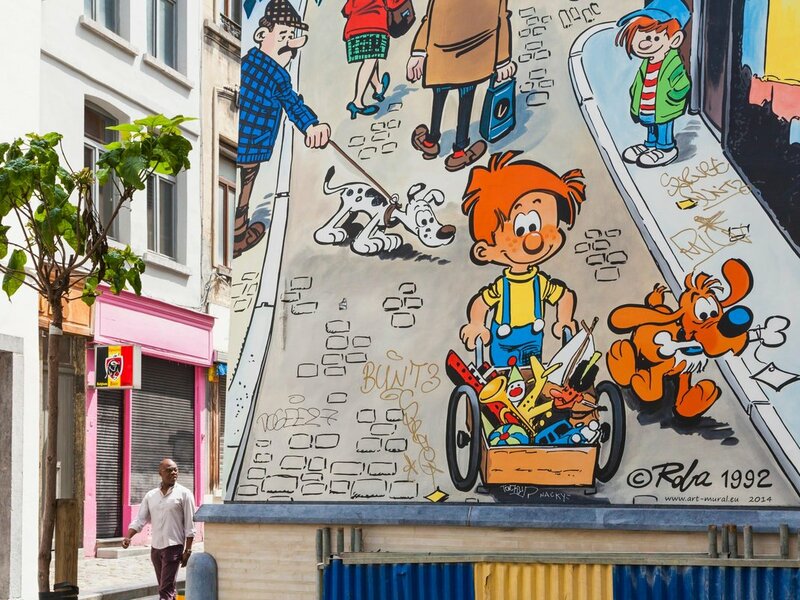 Great piece from SmithsonianMag on Brussels’ incredible comic book murals. Walking through Brussels is a lot like flipping through the pages of a comic book. Around practically every corner of Belgium’s capital, comic book characters spring to life on colorful murals on the exterior walls of houses, boutiques and blank “canvases.” They’re all part of the city’s Comic Book Route—just one of the things that makes Brussels a paradise for comic book lovers.